Within minutes of the Reserve Bank of New Zealand announcing its OCR cut from 2.25% to 2%, ANZ became the first bank to move, passing on just 5 basis points to floating home loans. 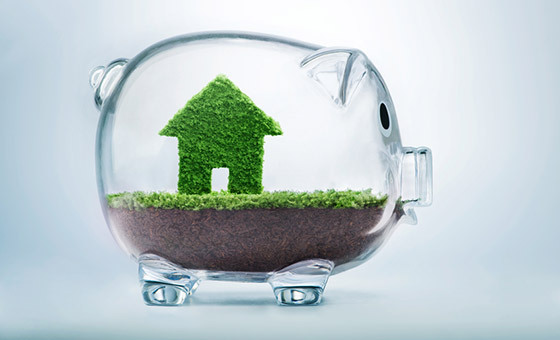 In a statement, chief executive David Hisco says the record low interest rates are an opportunity for households to pay off their home loans and to focus on saving. ANZ is also lowering its floating rates for Commercial, Agri and Business loans by 0.15% per annum (15 basis points). On the back of the RBNZ announcement, ANZ launched a home loan package for First Home Buyers using Kiwisaver, which includes a 0.20% per annum discount. This discount applies to prevailing ANZ standard variable interest rate. Mr Hisco says ANZ is refocusing its lending and borrowing strategy, with five times as many customers who have deposits compared with the number who have home loans. Lifting term deposits rates will help customers grow their savings, he says. 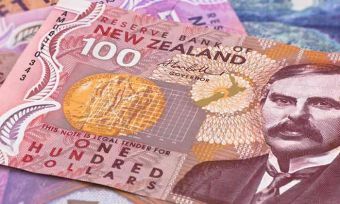 ANZ believes RBNZ has made the right move in cutting the OCR to try drive the NZ dollar lower, because export industries – which employ many Kiwis – need to be protected. “Dramatically lowering lending rates would only throw fuel on the fire in an overheated housing market. That would be irresponsible and negate any economic benefit to New Zealand and drive up the country’s debt as banks seek expensive offshore funding for increasing home loan books. “While this may mean we write fewer investment loans, we believe it is the right thing to do,” Mr Hisco says. ANZ is also lowering its floating rates for Commercial Agri and Business loans by 0.15% per annum. Reduction of 0.05% per annum to 5.59%. Hours after ANZ’s announcement, Westpac announced it has reduced its floating mortgage rates by 10 basis points to 5.65%. This reduction applies to its Choices Floating, Choices Everyday and Choices Offset options. These rates are effective from 12 August for new borrowers and from 31 August for existing customers. However, Westpac is also holding some of the OCR rate cut back for savers, but only those who take out a six-month term deposit. The new rate is 3.50%, an increase of 50 basis points, and is effective from 12 August. Reduction of 10 basis points to 5.65%. Kiwibank has gone against the grain and passed on the full OCR rate cut to home loan borrowers. It has cut its variable rate by at least 20 basis points (between 0.20% and 0.25%). Kiwibank is reducing its Home Loan Variable rate by 0.20% to 5.25%. The Offset rate will reduce by 0.25% to 5.25% and the Revolving Home Loan rate by 0.20% to 5.30%. “The changes support customers looking for flexibility with their lending,” Kiwibank says in a statement. This is Kiwibank’s lowest variable home loan rates since the bank launched in 2002. The rates are effective for new customers, and Monday 29 August for existing customers. ASB and BNZ have yet to announce how they are responding to the Reserve Bank’s OCR cut. Reduction of 0.25% to 5.25%. BNZ has broken its silence on its move following the OCR cut on 11 August and has announced it is passing on just 0.05% (5 basis points) to borrowers. Its new rates are 5.64% per annum for floating home loans. However, following in the footsteps of three of the five major New Zealand banks, BNZ is boosting its Term Deposit rates. BNZ has decided to incentivize those with 18-month Term Deposits – as has ASB bank – and has increased the rate by 0.30% to 3.6%. BNZ director of retail and marketing Craig Herbison tells the New Zealand Herald that its rate changes had been influenced by a range of factors, including the OCR. “There are a range of factors that influence whether bank increases or decreases its interest rates and the OCR is one of those. Home Loan Rates 5.69% per annum on Floating Home Loan Rates. Decrease of 0.05% on Floating Home Loan Rates to 5.64% per annum. Term Deposit Rates 3.30% per annum for 18-month Term Deposit Rates. Increase of 0.30% on 18-month Term Deposits to 3.6%. Although late to the party, ASB announced it is following the same lines as Westpac, BNZ and ANZ by splitting the OCR cut between Home Loans and Term Deposits. ASB is passing on 10 basis points to borrowers by shaving off 0.10% from Variable Rate Mortgages. This brings the rate down from 5.65% per annum to 5.55% per annum. This change is effective from 17 August for new borrowers and from 24 August for existing customers. Following the general trend of boosting Term Deposit rates, ASB has increased its headline 18-month term deposit rate by 45 basis points (0.45%) to 3.65%. Home Loan Rates 5.65% per annum for Variable Home Loan Rates Reduction of 0.10% for Variable Loan Rates to 5.55% per annum. Keep an eye on Canstar for any updates and compare home loan rates here. 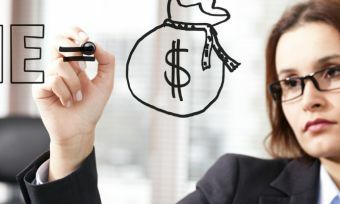 Long vs short term deposits: What's right for you?